Editor’s Note: As part of our continued focus on PrimeTime Lacrosse during PrimeTime week, we are also looking at a few of the college programs that have ties to PrimeTime. First, we looked at Bryant, where several event are hosted. Now we take a dive into UMass-Boston, where PrimeTime’s founder Tyler Low is the head men’s lacrosse coach. 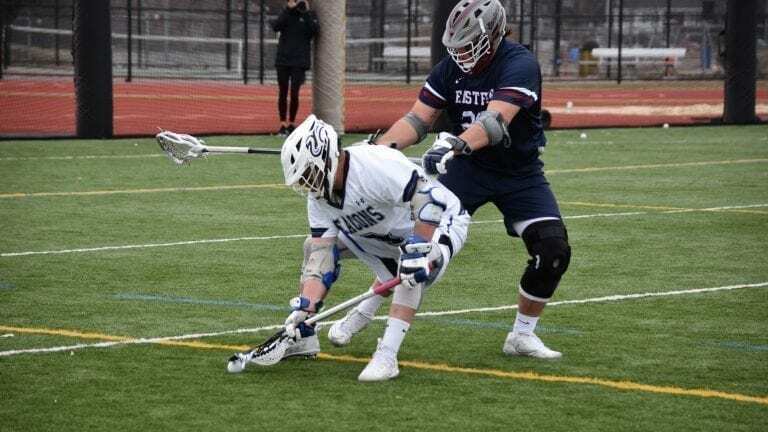 UMass-Boston is coming off a disappointing 2018 campaign where they fell quite a bit short of their expectations going in. In 2017, they finished second in the Little East Conference, falling to a Keene State program who had been to the conference finals for 12 of the previous 13 seasons. Hoping to build on the prior season, they fell short with an overall record of 8-9, losing their last two games to Plymouth State to close out the regular season and the first round of the Little East Tournament. From that UMass-Boston team, their big losses are on the offensive end. Twin brothers and OCC transfers Clay and Kroy Arnold both depart, taking Clay’s 63 points from the attack position and Kroy’s 30 from the midfield. 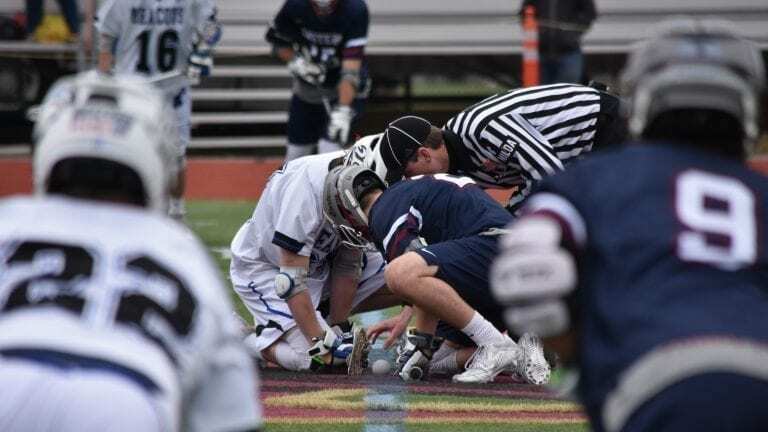 They also lose their team leading ground ball and caused turnover machine Jack Dillon from the faceoff wing as an LSM. The good part? They return practically every other major contributor and are bringing some fresh blood to hopefully make 2018 a solid year. On offense, the attack is led by a pair of Division I transfers in Conor Lenfest and Ned Parker. Parker is about as much of a pure finisher as you can imagine, finishing last year with 33 goals (second on the team) and just a single assist in nine games, as he spent a good part of the year injured. Lenfest is much more balanced with 25 goals to go with 21 assists. Lenfest was named LEC Rookie of the Year, despite only appearing in five out of nine conference games. They also have big sophomore middie Joe Mauceri returning, who was the definition of a volume shooter. As a freshman middie, he led the team by blistering 123 shots. He only scored on 31 of them, so if his accuracy gets even a little better, there will be some enormous production coming from him. In terms of midfield, a bright spot is that nearly all of their faceoffs were taken last year for UMass-Boston between a pair of freshman in Jacob Sinclair-Steeves (who actually is not listed on their roster this year) and Tom Redmond who won at a clip of 65% and 56% respectively. Those are definitely respectable numbers, and it will be interesting to see how they react to losing Dillon from the wing. Also, entering the mix will be transfer Jack Dobrzynski. Senior Matt Murphy is a possible replacement for Dillon, though he is much more of a close defender. Murphy would take the occasional faceoff as well (15 on the year), but that was usually reserved more for man-down situations or to change the pace. But as a defender who doesn’t mind bringing the ball up or starting on the wing, there is some potential there. Assuming Murphy stays back at close defense, senior Jack Fournier is the likely candidate to take the wing. That leaves sophomore Tommy Wilber as the next starter. The third spot is a little more open, though. Junior Robert Ranta had eight starts a year ago as he was kept out of play last year with an injury. Ranta should work his way onto the field this season as well, while his younger brother is joining the team as a freshman and may be pushing for time at LSM. For short sticks, Kroy Arnold was the big loss as a two way middie, but they are now looking for newcomers Matt Palin and Bobby Sprague to step up into that role. Going back further on defense, the Beacons had a true platoon at the goalie position in 2018, and it was all young. Five goalies saw time in games with four of them getting starts. The most time in net went to then-freshman Alex Fawcett, who started 11 of the 17 games, but did not have a stellar save percentage. Most of the goalies were all hovering around 50%. It was time for a change. Nearly every goalie from last year’s UMass-Boston roster is gone, and a pair of newcomers is looking the most promising right now. Charlie Cook, a sophomore transfer from Clark University is one option while Chicago native George Goldie-Morrison is another. Senior Cam Dixson is also in the mix for the starting spot. Regardless of who takes over, they’ll have a different look between the pipes. This team will be much different compared to 2018, which in this case is a good thing. 2017 saw much success, but injuries and lack of consistent execution is what cost them in the end. The goal is for the new group of players to help with that execution side, which is the one part of that equation they can control. Combining that with a stronger locker room and team mentality should produce better results.